Our students’ commitment and energy have been confirmed once again this year, as three teams vying in different major international competitions brought home honours. Given their hard work and determination, it’s no surprise! HEC Montréal is proud of its students, who demonstrate their perseverance and commitment year after year in competitions like these. The EDHEC Boat Cup is one of the world’s largest sailing events, bringing together over 3,000 students every year. 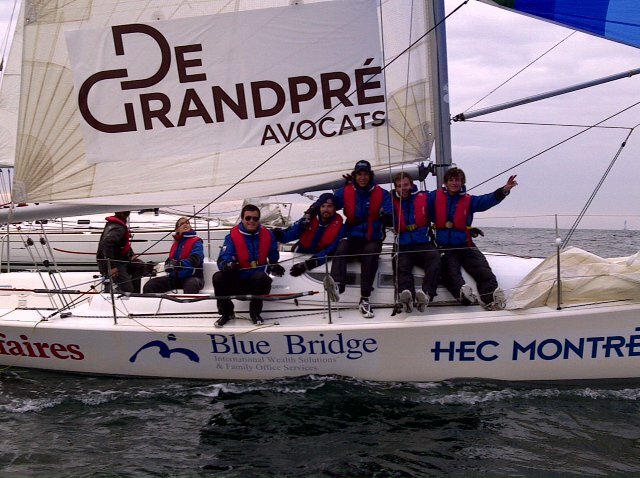 From April 9 to 16, the HEC Montréal–Blue Bridge team proved its merit by winning the International Trophy in the 43rd edition of the race, in Lorient, France. Despite problems with the weather that kept them from practising as often as they would have liked, Bertrand Delmer, Nicolas Roger, Benjamin Lesage, Martin Canton-Lauga, Cyprien Fleury, Clémentine DuPradel, Jérémie Hrycak-Leclaire and Nicolas Leplatre showed beyond a doubt that they were up to the challenge. Corporate social and environmental responsibility is a priority for many organizations, and three of our students came up with an innovative way to address this issue for the Citizen Act competition organized by Société Générale of Paris. 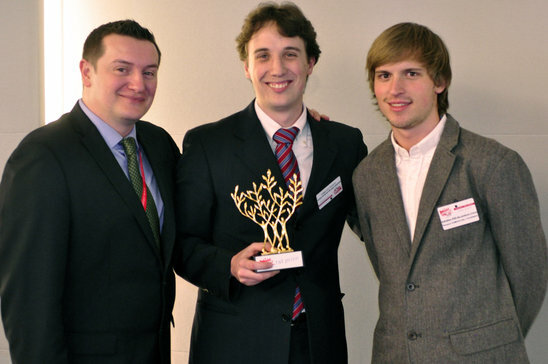 Patrice Camus, Jonathan Colombo and Renaud Dumouchel-Fournier devoted many months to their entry, a proposed “platform for effective communication” between the bank and its investment clients, in a field of more than 249 teams from 37 countries. Their determination paid off in April, at the final round of Citizen Act in Paris, as they took first place. Their proposal also met with considerable interest from senior managers with Société Générale. Managed by a group of students and with the support of Professor Martin Boyer, the Standard Life-HEC Montréal Fund (FSLHEC) earned the School’s team first place at the RISE Forum, an annual competition bringing together over one hundred universities from 65 countries. The team won in the Balanced Funds category, with its average annual return of nearly 10% over the past several years. 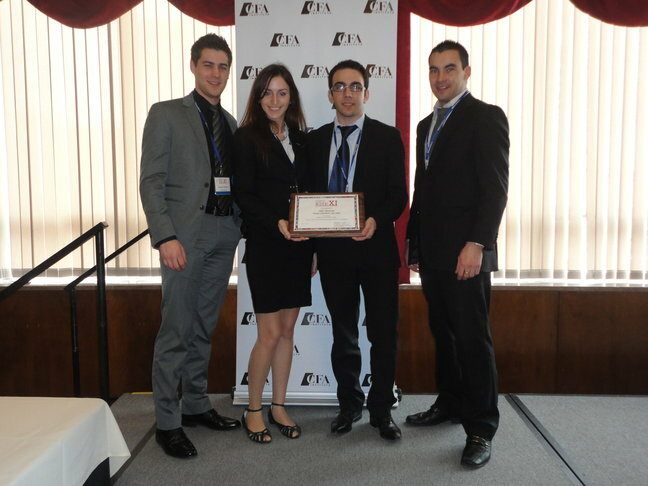 Students Benjamin Mercier, Lédéenne Chapleau, Nicolas Lefevre-Laumonier and François-Xavier Renaudin were the FSLHEC representatives at the competition, hosted by the University of Dayton, Ohio, but it must be remembered that the Fund is managed by a winning team of 20 students.